Ian Gordon was a partner in the Ballarat law firm Heinz and Gordon. In 1973 Ian Gordon was appointed President of the Council of the newly created State College of Victoria at Ballarat (SCVB). As president he led the merger of the SCVB with the Ballarat Institute of Advanced Education (BIAE), the tertiary division of the School of Mines (SMB). 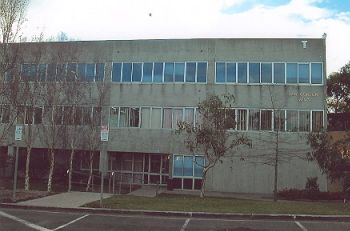 Out of the merger the Ballarat College of Advanced Education (BCAE) was established on 1 July 1976. As the first Vice-President of the new SCVB Council Ian Gordon was involved with the transfer of SCVB to the 'new' Mt Helen site. In June 1981, upon the resignation of the inaugural President, Morgan B. John, Ian Gordon became President of the Ballarat College of Advanced Education (BCAE) Council. Ian Gordon held this position until 31 December 1993, the eve of the creation of the University of Ballarat. 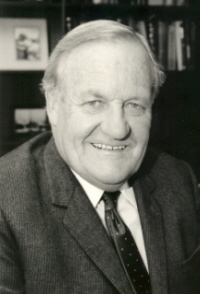 Ian Gordon was the only person to remain a member of the BCAE and Ballarat University College (BUC) Council for the whole of their existence. Ian Gordon had a broad interest in tertiary education. His leadership qualities were emphasised when he became a member of the Board of the College Councils Association of Victoria, an industrial association formed in 1981 to represent Victorian Colleges of Advanced Education. In 1986, a national industrial association of Australian Colleges of Advanced Education was formed. Ian Gordon was its inaugural President, holding the position until the Australian Advanced Education Industrial Association merged with its equivalent university body to become the Australian Higher Education Industrial Association in 1989. The Council of the University of Ballarat, at its meeting on 17 May 1995, resolved to recognise Ian Gordon's contribution to the University's predecessor institutions, and the Ballarat region, by naming the southern wing of the Education Building at the Mt Helen Campus "Ian Gordon". 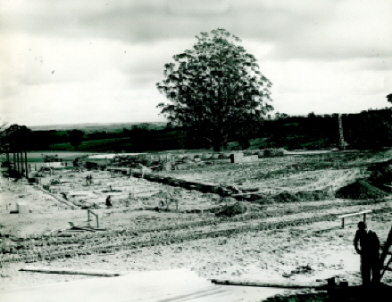 Appropriately this was the building erected to house the major part of the SCVB when it moved to the Mt Helen Campus. At the naming function Ian Gordon was asked if his transition into the world of academia was easy. He replied "The language to begin with was strange, and often issued with an air that only academics would understand." The August edition of "On Campus' reported on the naming ceremony: 'Mr Gordon told guests, so many who had been associated with him in the last 20 years, that he had been encouraged by the commitment of a team who had a 'grand vision for this place". He said their skills and enthusiasm had enabled them to overcome many obstacles to achieve their objectives."